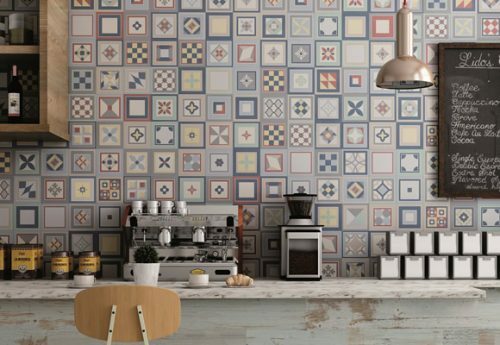 Give your home a gorgeous makeover with the Grenier Mix feature tile. 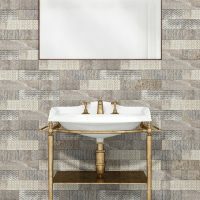 This attractive glazed porcelain tile is available in multiple patterns in a variety of colours and will surely add a touch of modern sophistication to your home. Grenier Mix is available in a standard tile size of 330x330mm. 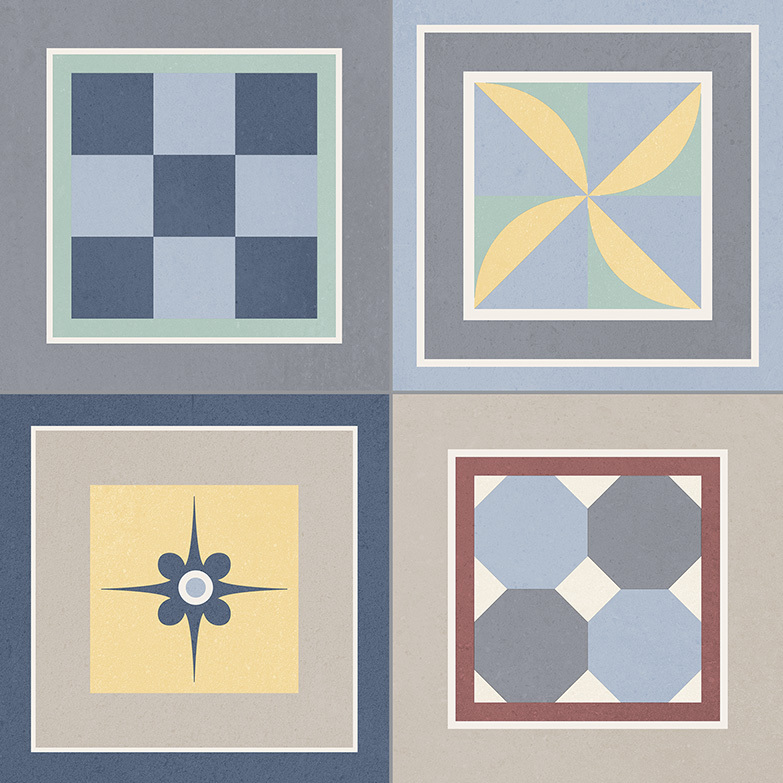 Each tile is sold per piece, with each tile consisting of 4 random patterns. There are total of 52 different patterns overall. One box contains 12 tiles and the same tile design may or may not be repeated within a box. 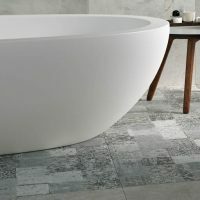 This feature tile is incredibly versatile and is suitable for use both as a wall tile or a floor tile. It is specially designed to withstand heavy vapour condensation, making it ideal for installation in showers, bathrooms and kitchens. Moreover, it has been designed to weather both in light and high traffic areas. When it comes to finding a feature tile in Perth that is as versatile as it is attractive, you’ll find none better than Grenier Mix. 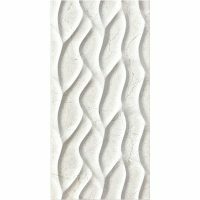 Buy this gorgeous feature tile at a great low price from our online store today!